the Company’s activities. After a brief period of uncertainty, brothers Alfred and Walter van Noorden led a new syndicate (which included Arthur Winkworth, H.B. Brandreth and the second Mrs Carl Rosa) which kept the Company on the road until the early 1920s. 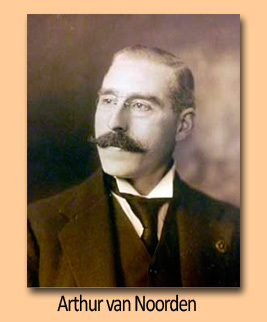 In 1923 Henry Bettesworth Phillips (1866–1950) became the sole owner of the Carl Rosa Opera Company and ran it, with his wife, Annette Phillips (1881–1969) until the curtain finally fell on the Company in 1960. In a typical year, an average of 750,000 people attended performances given by the Carl Rosa. The Company played in hundreds of different venues, ranging from tiny provincial theatres to larger venues in the major cities, including the Theatre Royal, Drury Lane and the Royal Opera House, Covent Garden. Performances were sometimes broadcast by the BBC and, during the 1940s and 1950s, the Company would often perform on the stages of large cinemas. The Carl Rosa aimed to present opera in English to all classes of people by offering opera at affordable prices. The combination of excellent productions at regular theatre prices meant that the Carl Rosa was able to attract audiences that were drawn from a huge cross-section of society, including Royalty, major politicians, bank clerks and factory workers. All came to hear good quality, faithful productions of opera in English. 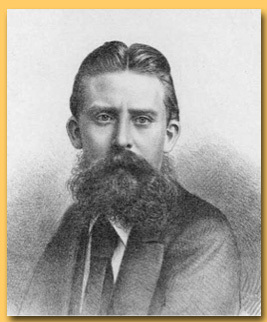 The Company gave the English premières, and first performances in English, of many operas, including: Lohengrin, Aida, Carmen, La Bohème, Cavalleria Rusticana, Hansel and Gretel, Mignon, Manon, Tannhäuser, Rienzi, Andrea Chenier, Othello and The Flying Dutchman. 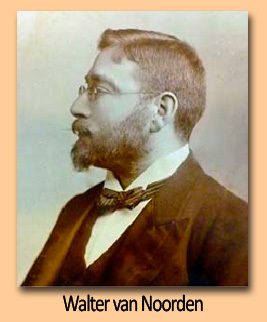 Over twenty works by British composers were also premièred by the Company, including works by Arthur Goring Thomas, Charles Villiers Stanford, Frederick Cowen, Hamish MacCunn, Alexander Mackenzie, Joseph Holbrooke and George Lloyd. During the eighty-seven years of its existence, hundreds of notable musicians appeared with the Carl Rosa, including Sir Charles Santley, Marie Roze, J.W. Turner, Zélie de Lussan, Kingsley Lark, Ben Davies, Joseph O’Mara, Charles and Fanny Moody, Hamish MacCunn, Audrey Mildmay, Charles Craig, Sir Adrian Boult, Sir Henry Wood, Arthur Hammond and three generations of the Goossens family. After hearing her first opera, performed by the Carl Rosa Company (Il Trovatore at Bristol in 1907), a young Dame Eva Turner knew from that moment that she wanted to become an opera singer; in 1915 she joined the Company and began her hugely successful career in opera. Building on the invaluable experience they had received with the Carl Rosa, several singers were inspired to form their own successful opera companies (for example Turner, O’Mara, Moody and Manners). 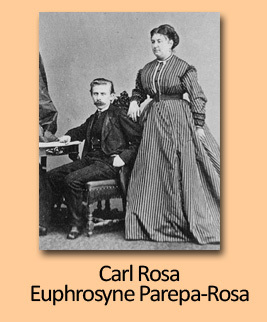 Throughout its history, the Carl Rosa Opera Company owed its success to the initial vision of Carl and Euphrosyne: a vision of a Company that nurtured and maintained an excellent ensemble of native soloists and chorus singers who presented faithful performances of opera in English. Rather than rely on star performers to carry the Company and draw audiences by virtue of their names on playbills, the Company relied on the dedication of a team of professional singers who worked hard to encourage and support each other as an ensemble. This is what made the Carl Rosa a household name which is still remembered today, over fifty years since the last performance. In 1993 Mr Peter Malloy formed a new, independent opera company called the Carl Rosa Opera Ltd, in honour of the famous impresario and specialising in the performance of operetta. It is independent of the original Company, and the Trust does not benefit from it financially. © 2016 The Carl Rosa Trust Ltd | Design by FCT | Last Update 19 Oct 2016 AEDT by SDG.